Scrum is a framework for implementing the principles of agile project management. 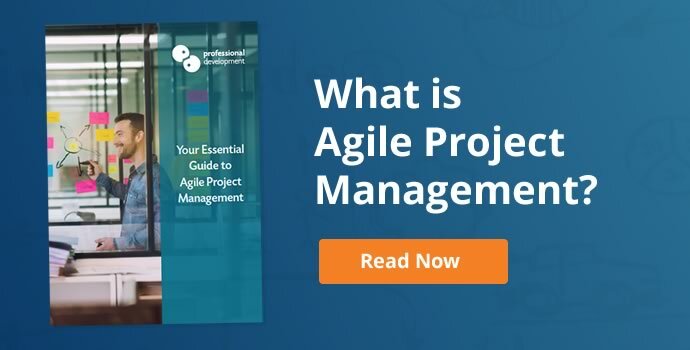 It’s a way of executing a project that enables frequent value delivery, plenty of collaboration between the scrum project team and the stakeholders, and responds positively and easily to changing requirements. Scrum divides a project into a series of manageable chunks called “sprints”. A sprint is a short cycle of productivity between 1 and 4 weeks, with a goal of delivering value to the customer or key stakeholders at the end of each sprint. Scrum is a way of working smarter, not harder! 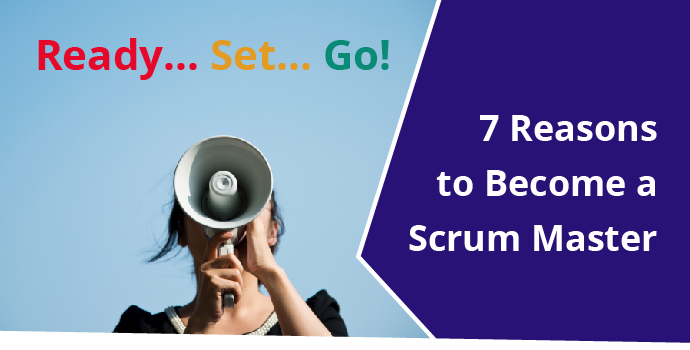 The characteristics that define the scrum framework tie in closely with its key benefits. Sometimes, the most daunting element of project management can be trying to incorporate everything into the scope upfront. Have you missed anything? Can you even project what might be needed? Scrum eliminates the need for a detailed, set-in-stone project scope. It’s a framework that, in-line with agile principles, welcomes change and uses it as a competitive advantage for the success of the project. As you’ll read in Sprint Retrospective below, evaluation for continuous improvement is built into every cycle of a scrum project. 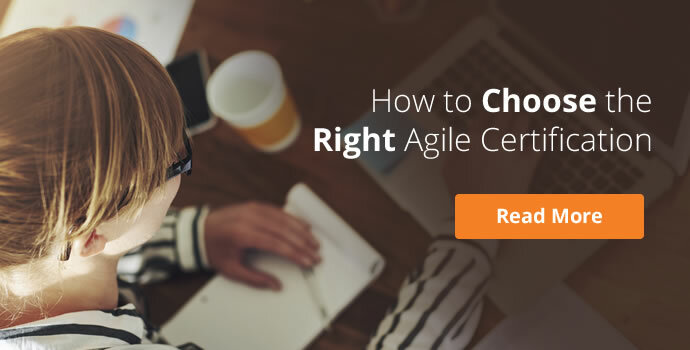 This enables the scrum team to find new and more efficient ways of delivering value with every sprint. Visibility on tasks in progress, a common language used by all team members, ongoing collaboration and communication, and clearly defined roles and responsibilities within the scrum team provide transparency throughout the sprint. It means that not only is everyone on the same page, they’re reading the same paragraph! Scrum teams are self-organised and collaborative. They communicate with each other and with the customer regularly to achieve better results. If a roadblock appears, the scrum team works together to solve the issue as quickly as possible, and enable a return to productivity. Scrum thrives on customer feedback! The scrum product owner works closely with the customer to determine, prioritise, and re-prioritise requirements throughout a project. 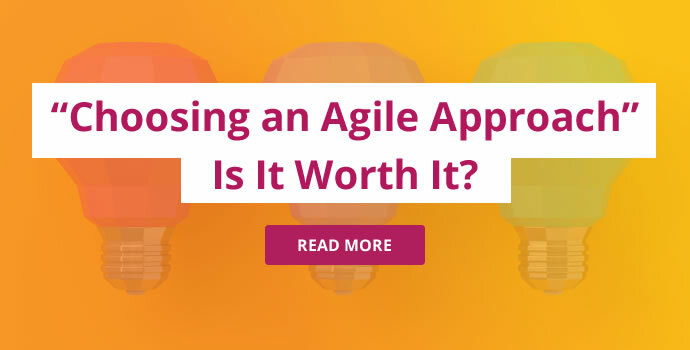 The sprint review allows everyone involved to evaluate and refine requirements as the project progresses, so that the end product reflects exactly what the customer requires. The whole mentality of the scrum framework focuses on delivering value to the customer frequently, and from an early stage. All of the characteristics above add up to much lower risk for your project and a higher level of success overall. How is Scrum Different from Agile? 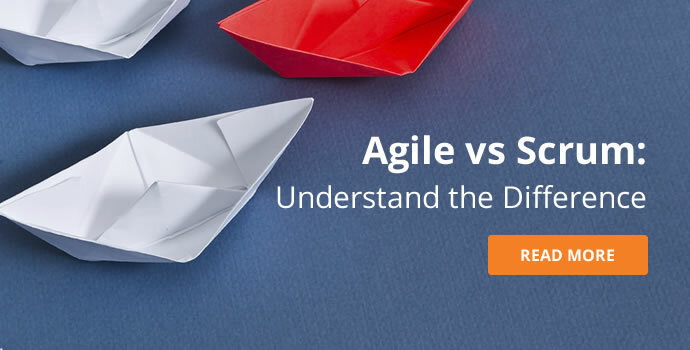 It’s easy to become confused between Scrum and Agile. 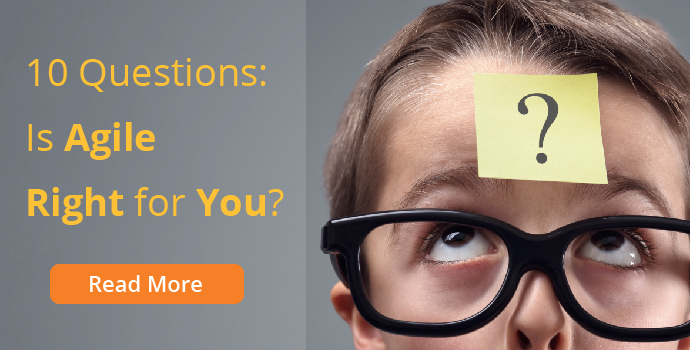 You’ll often find these terms listed together, and used interchangeably, making it difficult to determine what each term means, and how it might apply to you. Agile is a methodology - a set of principles and values for incremental project management. Scrum is a framework you use to implement agile. One of the best analogies I’ve seen, is by Andrew Littlefield in his “Beginner’s Guide to Scrum and Agile Project Management”. 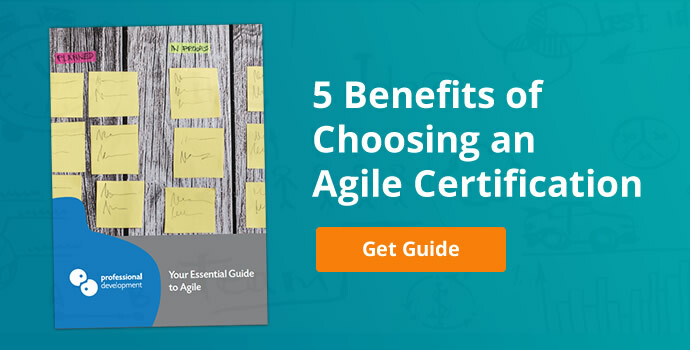 He compares Agile to a vegetarian diet, and Scrum as a recipe for chickpea tacos - a way to adhere to your vegetarian diet. As with Agile, Scrum originated in the software development industry. In the early 90s, Jeff Sutherland, Ken Schwaber, and Mike Beedle read an article called “The New New Product Development Game”. This article, written by Hirotaka Takeuchi and Ikujiro Nonaka in 1986, outlined the benefits of self-organising teams in the game of rugby. Schwaber, Beedle, and Sutherland were inspired by this comparison, and brought this concept into software development, first applying their Scrum methods to a project in 1993. Each sprint within a scrum project follows the scrum cycle - a logical cycle that optimises productivity. A scrum team is self-organised and cross functional. Every member of the scrum team is essential for delivering at the end of each sprint. The roles and responsibilities for each member are clearly outlined. The Scrum Product Owner (SPO) serves as the voice of the customer. They communicate continuously with both the customer and the scrum team, helping to prioritise requirements and remain focused on the end product. Perhaps the best-known of all scrum team roles, the scrum master supports the scrum team members, working to create an ideal scrum environment for them. The scrum master removes any obstacles, and protects the team from distractions. Sometimes called a Scrum Developer (a hangover from the early days in software development), a scrum team member works on creating the deliverables or product. As you’ll see from the image of the scrum cycle above, the events in a sprint are essential for keeping everything moving and focused. This happens at the start of each sprint. All team members meet to discuss what can be achieved during the upcoming sprint. They agree on deliverables and responsibilities. What obstacles are in my way? At the end of the sprint, the scrum team meets with the key stakeholders (customers) to present the deliverables. They receive feedback from the customer, which may influence the next sprint. Continuous improvement is a key part of scrum project management. The sprint retrospective facilitates time for the scrum team to look back on the previous sprint and evaluate what worked, and what can be improved upon in the next sprint. The rules of scrum make all of the elements above work correctly. These are directives on how to carry out each element of a sprint. 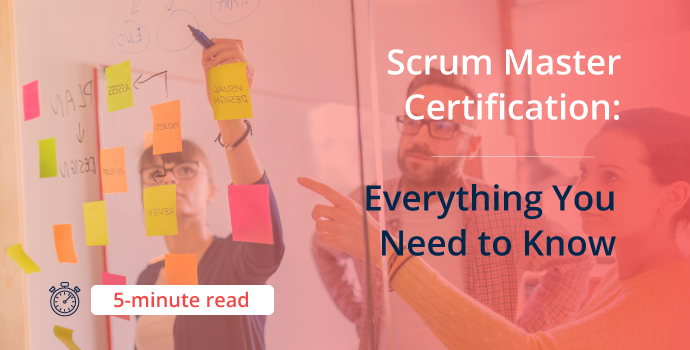 Like many of the most effective frameworks, although Scrum sounds very simple and straightforward on the surface, you’ll need understanding, commitment, and practice to really master it. It takes time and practice to really master how to estimate what you can accomplish. It takes commitment to adhere to the daily stand-up, and maintain focus. It takes understanding to fully grasp what you need to implement, and more importantly how to implement it correctly. The combination of theoretical and practical learning during our Scrum training courses ensures that you will gain confidence in your ability to both understand and apply Scrum processes within any project environment. In addition, all of our scrum courses include examination and international certification costs, so that you take away a solid, recognised qualification in scrum. 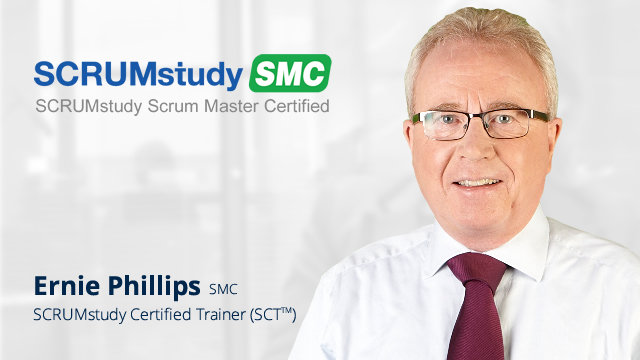 Click below to visit our Scrum Master Certified webpage, and kick off your Scrum training. 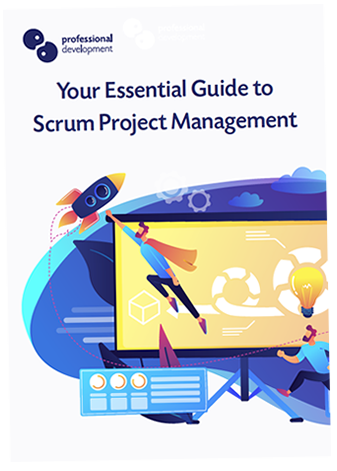 You can also click below to download our complete guide to Scrum. 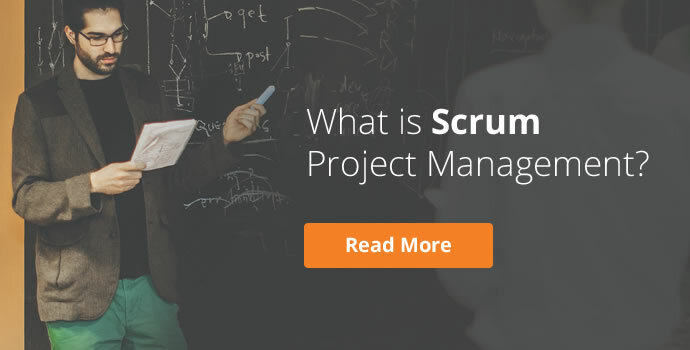 Blog » Agile Project Management Blog » What is Scrum Project Management?